Story: With the IMF disbanded, and Ethan (Tom Cruise) out in the cold, the team now faces off against a network of highly skilled special agents, the Syndicate. These highly trained operatives are hellbent on creating a new world order through an escalating series of terrorist attacks. 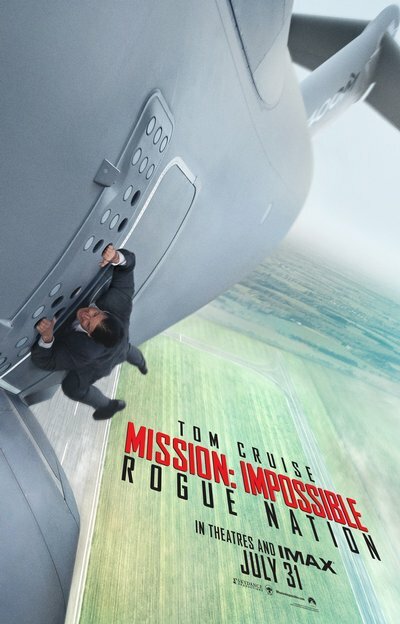 Ethan gathers his team and joins forces with disavowed British agent Ilsa Faust (Rebecca Ferguson), who may or may not be a member of this rogue nation, as the group faces their most impossible mission yet.